"Getting all these pieces to come together in midtown Manhattan is a logistical challenge. 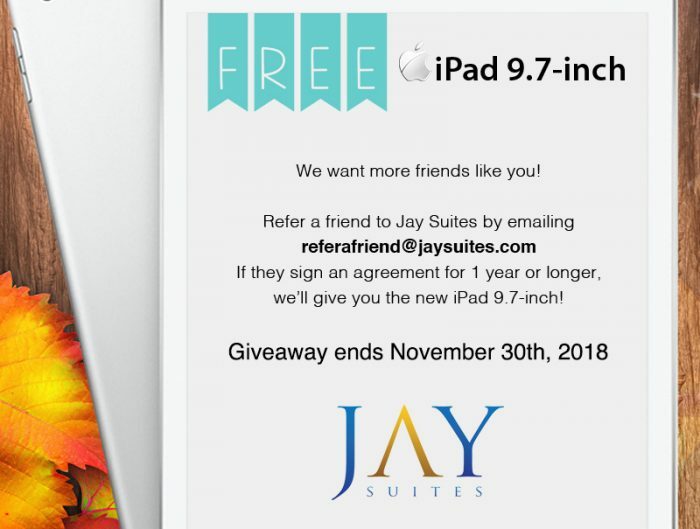 Jay Suites was a great partner and very accommodating for our unique needs." Jay Suites kicked off the start of summer with an amazing organization that combines collaborative team training with charitable community service at our 34th Street location. L.E.A.D. USA is a corporate learning and development consultancy focused on team-building, leadership and sales development. L.E.A.D. is an acronym for Leadership, Empowerment, Achievement and Dynamics. According to Founder and President of L.E.A.D. USA, Richard Kuepper, "We bring learning to life through highly engaging, interactive and fun activities. No, 'Death by PowerPoint' during our sessions. Our strength is aligning the learning with the key business outcomes and when possible we tie in corporate giving. In this way our client gets their development needs met and they connect with and make a positive difference within their local community." 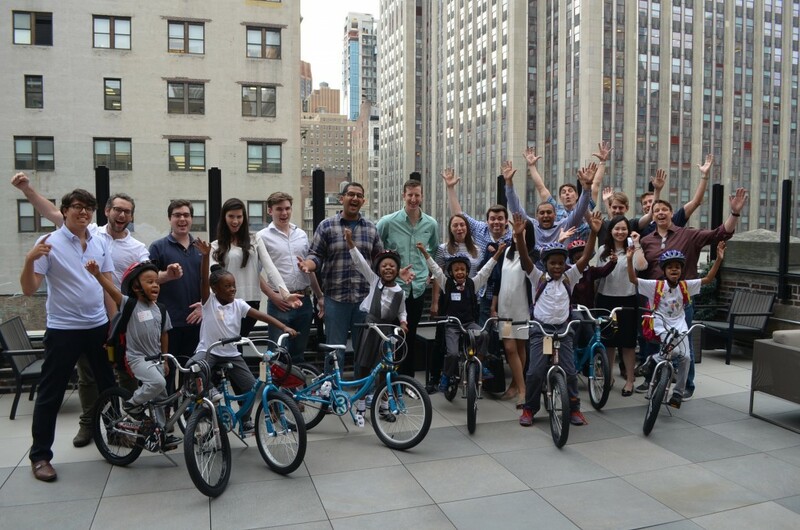 Kuepper was on site to assist company sponsor, Haver Analytics with building bikes for local children in need. "Our client Haver Analytics, offices in Midtown pulled their sales team together for a team-building day. In the morning we did a behavioral assessment so they gained self-awareness and a deeper understanding of their team dynamics as well as how to be more effective with their prospects and clients. In the afternoon they had a project to complete in small teams. 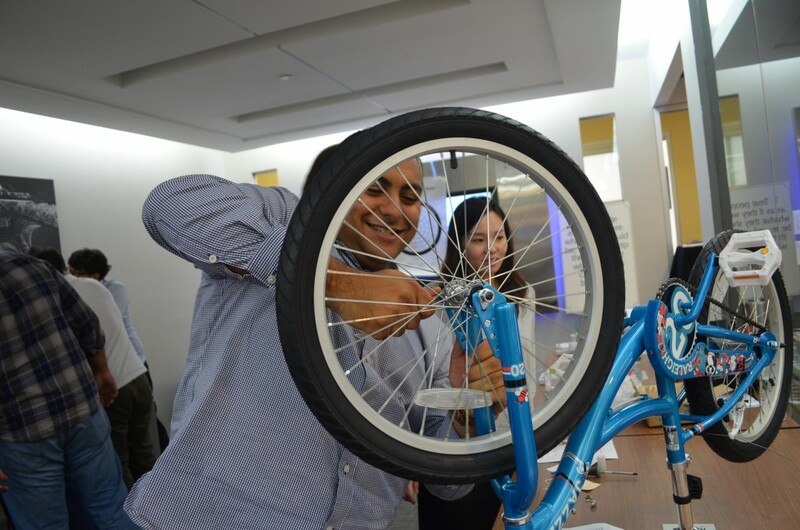 It was to assemble a kids bike without instructions and limited tools – all in under 40 minutes! When completed, they were introduced to their 'customers' the children from Xposure schools. Haver also provided helmets and bike locks. L.E.A.D. provided a professional bike technician from City Bicycles to make sure the bikes were 'ready to ride.' We also have a community resource police officer give a bike safety talk to the children as well." The bicycle is simply a metaphor for future company projects and goals. It isn’t until the very end of the exercise that the experience is solidified in the participant’s minds when they discover the true reason behind their hard work. Each bike is inspected upon completion and to the surprise of the Haver team, given to local nonprofit organization, Xposure Schools. Kuepper adds, "They teach young, underprivileged kids Music, Science, Finance, Technology, Work Ethic, Community, Entrepreneurship, Fitness and Nutrition. They are proof that if you hold kids to a high standard they will rise up and meet the challenge." It’s a win-win all around as the team has successfully completed their task together and are rewarded by the smiling faces of children enjoying their gift. Giggles were imminent as the bikes began to roll out of the conference room one by one and presented to kids patiently waiting outside. L.E.A.D. USA is unlike most leadership development companies in that they create innovative solutions tailored to their client’s needs and values. The Build A Bike program is not your run-of-the-mill team building exercise, it is a unique hands-on approach that trains professional teams to work together at their highest potential. 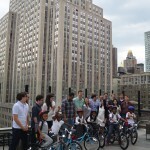 Jay Suites was happy to be a part of such an honorable event and we look forward to next year’s Build a Bike! For more information about Xposure Schools, contact Ray Thomas at rthomas@xposureschools.com. 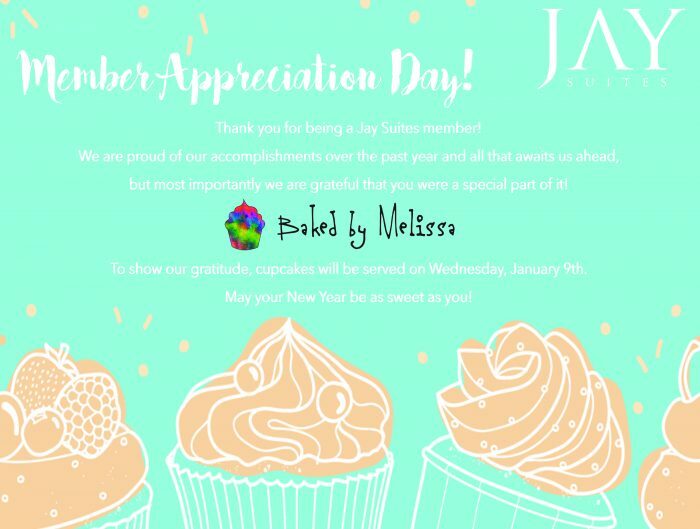 About Us Jay Suites is a hub for New York City entrepreneurs looking to simply work better. We offer flexible, luxury office suites, virtual office plans and on-demand conference rooms, so you can focus on your business and leave the rest to us. All Jay Suites offices are furnished, elegantly designed and come equipped with state-of-the-art technology, resources and support. In addition, members join a growing community with perks such as exclusive access to our members-only meet ups. With locations throughout midtown and downtown New York City, we have crafted an all-inclusive office package so that you can project your companies expenses forward. 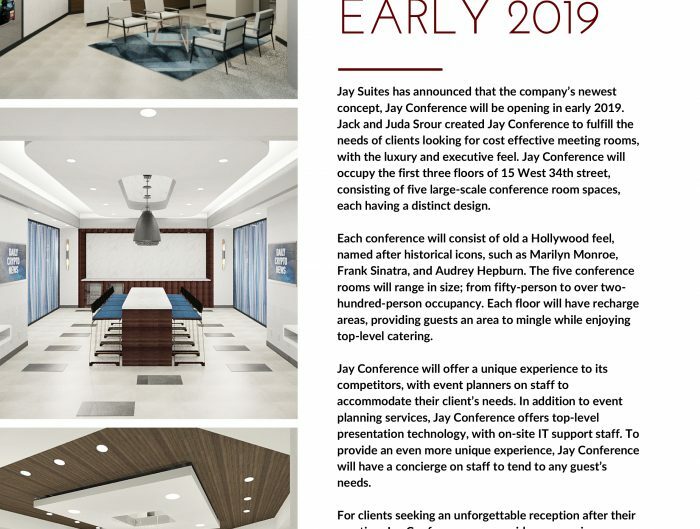 Whether you’re a lawyer, technology startup, or a fortune 500 company, you can bank with Jay Suites to thrive with our customized office space solutions.